Hudson, NY –The Prison Public Memory Project, focused on making prison history relevant as a guide to the future, today launched a website and blog (www.prisonpublicmemory.us) featuring its work in Hudson, a small town that is home to an historic prison and the site of the Project’s pilot effort. Hudson Correctional Facility, a medium-secure state prison for men that opened in 1976, was originally built in the 1800’s as the House of Refuge for Women, the first reformatory for women in New York (1887 – 1904), and then transformed into The New York State Training School for Girls (1904-1975) where famed jazz singer Ella Fitzgerald and other girls found to be delinquent by the courts were sent to be reformed. 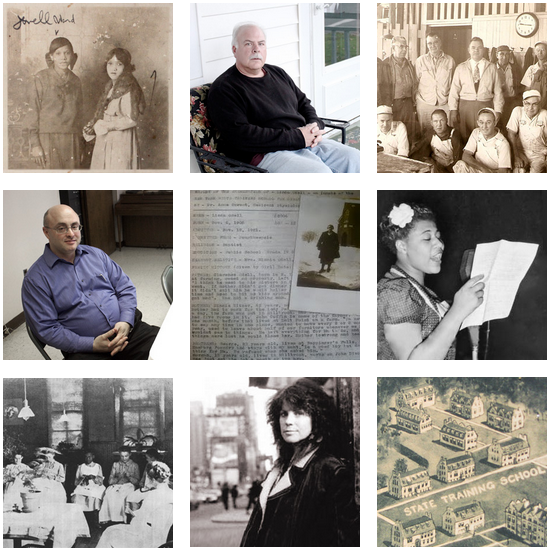 Since 2011, Prison Public Memory Project founders and a growing team of contributors based in the Hudson Valley and around the state have been interviewing Hudson area residents including prison ‘alumni’; conducting research in local and state archives and libraries; and developing educational, interpretive and cultural activities to be offered in Hudson and on the website later this year and next year. Visitors to the website can view current photos of former prison workers and inmates and listen to audio clips from their oral histories; see old photographs and maps of the prison; and read prison documents and letters from the 19th and 20th centuries. Short articles tell about ordinary as well as extraordinary prison-related events and people that influenced local, state, and national history. One section of the website invites visitors to become history detectives helping the Project team answer questions and find evidence and visitors are encouraged to contribute in other ways. Project founder/director Alison Cornyn anticipates more public input as the site is officially launched and word-of-mouth spreads. “Prisons, especially old prisons like the one in Hudson, have touched thousands of lives over the course of their history, in both profound and ordinary ways. Using history, art, dialogue and new communications technologies, The Project will craft safe spaces and new opportunities for people from all walks of life — including those who lived and worked inside the walls — to connect with the past and each other and engage in conversation, learning, and visioning regarding the role of prisons in communities and in society today and in the future”, said Cornyn, a Brooklyn-based interdisciplinary artist and new media producer whose previous projects have garnered numerous awards.